Inspired by the amount of running and training stats logged by Nike+ users, the company decided that data should be doing more for the people who matter the most: their community. Enter the, “Your Year With Nike” campaign. In the campaign, Nike and its agency AKQA created over 100,000 personalized one-minute animated films designed by French illustrator-director McBess. In the videos, the content each user sees is created from their personal Nike+ activity from 2014, plus their location and the typical weather there. The strategy behind the videos is two-fold. 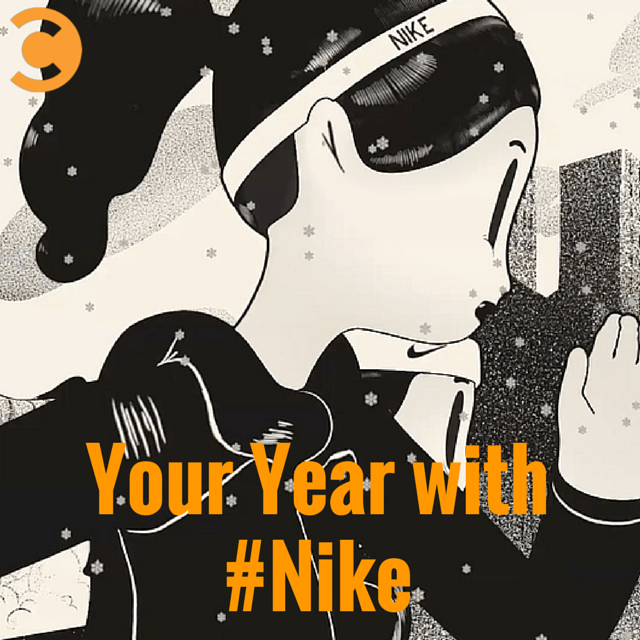 The videos were sent to the 100,000 of the most activate Nike+ users to celebrate a strong 2014, while inspiring those people to work toward an even better 2015. While this is an intelligent approach, the delivery and use of data really differentiates this campaign. Nike opted for a highly personalized, artistic and inspirational video, versus say, an email highlighting a user’s stats. The aesthetic and style of the video is also different from other Nike community initiatives, but the risk seems justified. The company knows this is a highly engaged, loyal customer audience and the level of personalization is a strategic way to capture attention for the length of the video. Nike may be no stranger to celebrating milestones, but “Your Year With Nike” speaks volumes to the value of strategically using data to reward and inspire your community.